Starting to play chords and songs. In the full Beginners Worship Keyboards Course (broken down here into 11 huge sections) you will learn how use keyboards in worship with a proven step-by-step chords-based method without having to wade through traditional piano lessons. 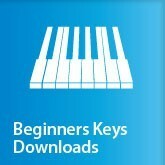 This download is one part of a series of 11 parts which make up the full Beginners Keyboard series. Each download includes a lesson of up to an hour in length plus advice, quick tips, interviews with worship leaders plus backing tracks to help you practice. 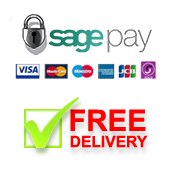 Buy all 11 Beginners Keyboard lessons at the same time and a 25% discount will be applied at the checkout. As well as teaching from Musicademy tutor Tim Martin, the DVDs feature practical advice from worship leaders Brenton Brown, Vicky Beeching, Tim Neufeld (Starfield), Tommy Walker, Leeland Mooring and Noel Richards. The full course covers over a years worth of worship focused lessons and is designed for complete beginners through to inexperienced worship band players. Songs used include Come Now is the Time to Worship, How Great Thou Art, Amazing Grace, Beautiful One, Lord Reign in Me, Here I am to Worship and There is a Redeemer. The sampler video above covers both the Beginner and Intermediate Worship Keyboard courses. If you are serious about moving ahead in music, chose these musicians. I am elated, and sorry that it has taken so long to find them.